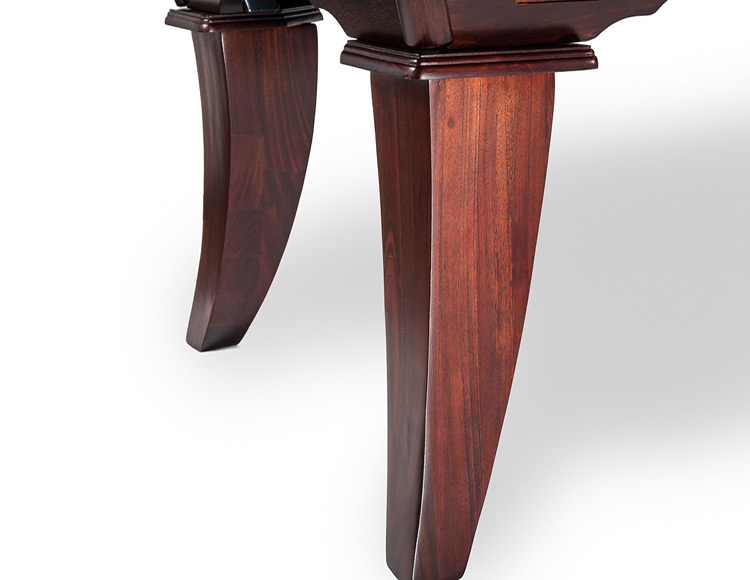 ​The Celebrity is a stylish African Mahogany table which represents a balance of beauty and playability with tusked legs. 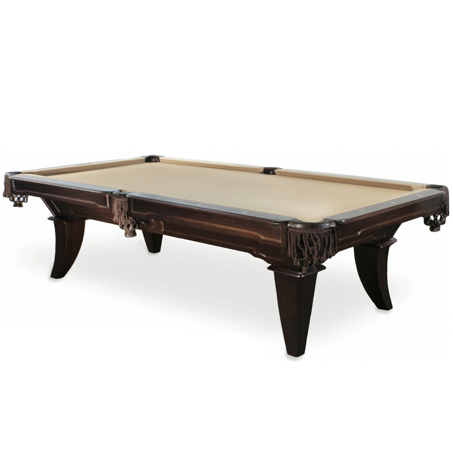 The modern pool table combines traditional design elements with contemporary finishes and visual balance. 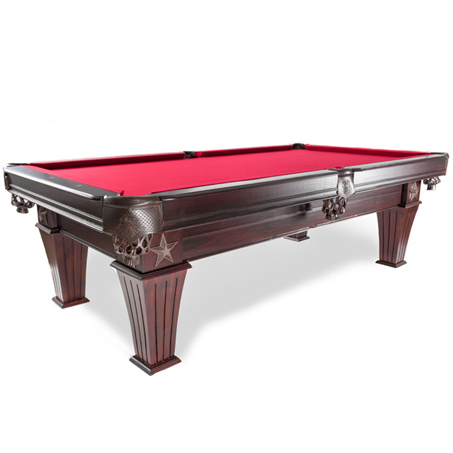 The Celebrity pool table by Presidential Billiards is the perfect representation of Transitional Style in the form of a billiard table. 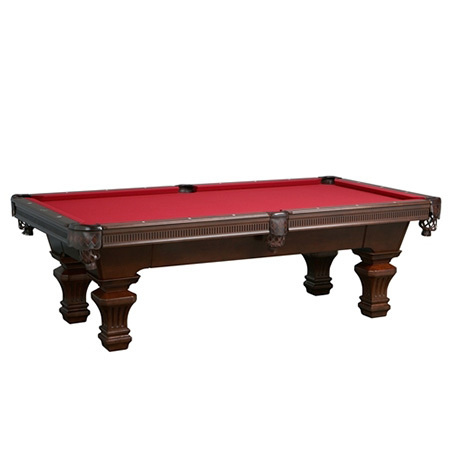 Note the traditional leather style pockets, routing, and hand carving. 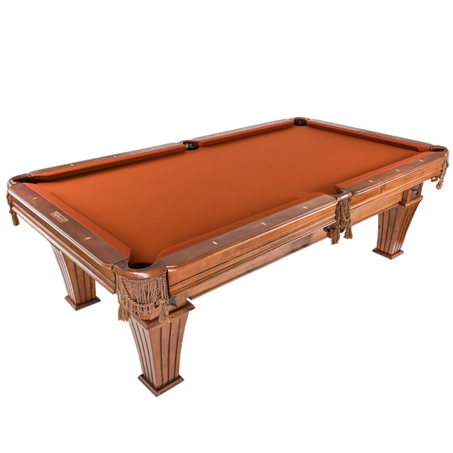 Combined with the contemporary dark espresso finish and the funky "tusk" style leg you are left with a pool table that transitions from the old to the new. 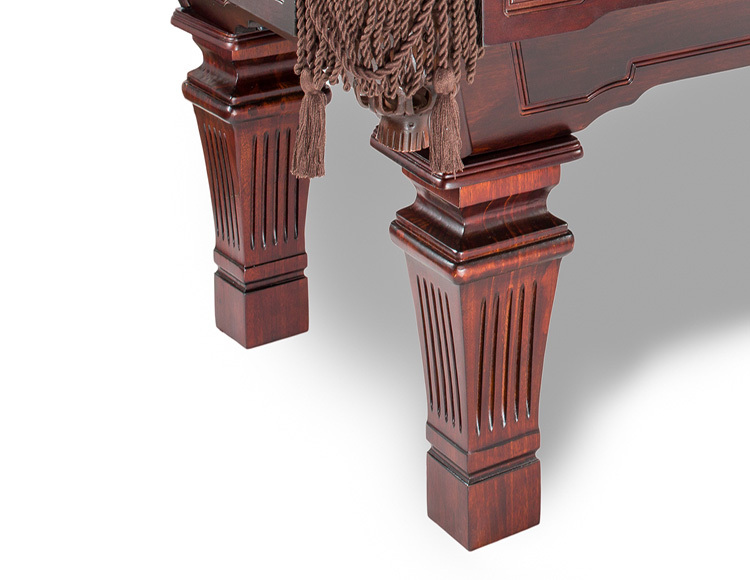 Superior quality BCA approved K-66 profile cushioned rubbers.